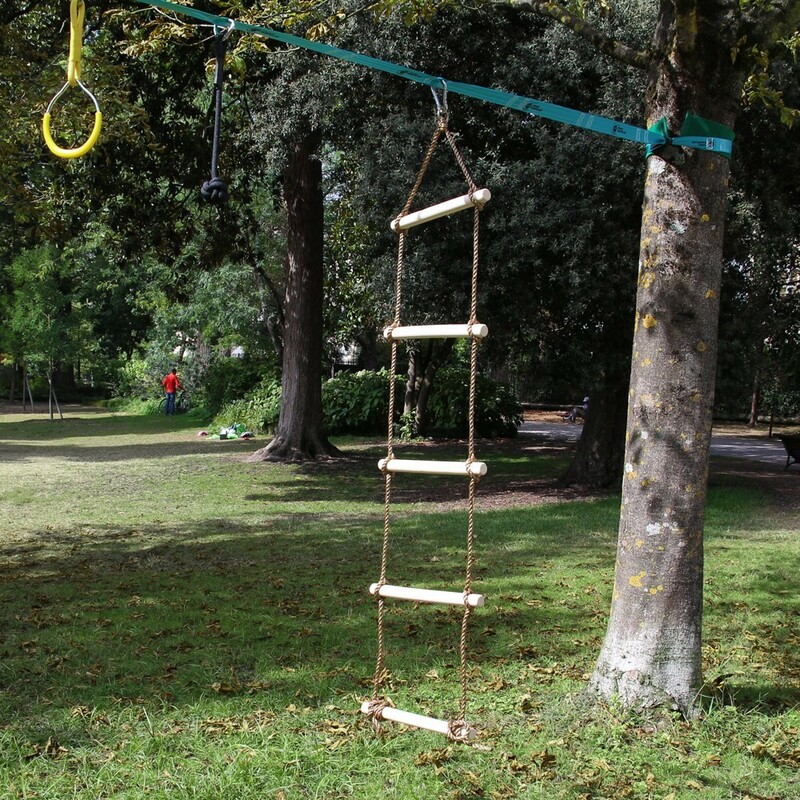 Rope ladder for your Ninja adventure set, can you complete the adventure! Bring another new challenge to your Ninjaline : it will be a another new step on the path to becoming a true Ninja. 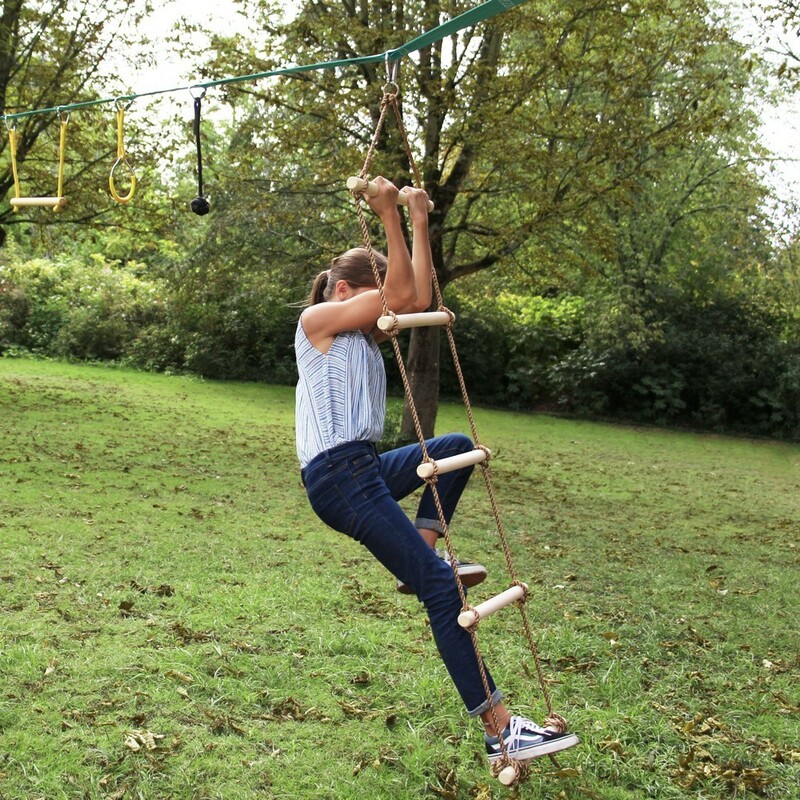 This rope ladder is firmly attached with carabiners to your Ninja Slackline kit, allowing you to work out your coordination, balance and strength! 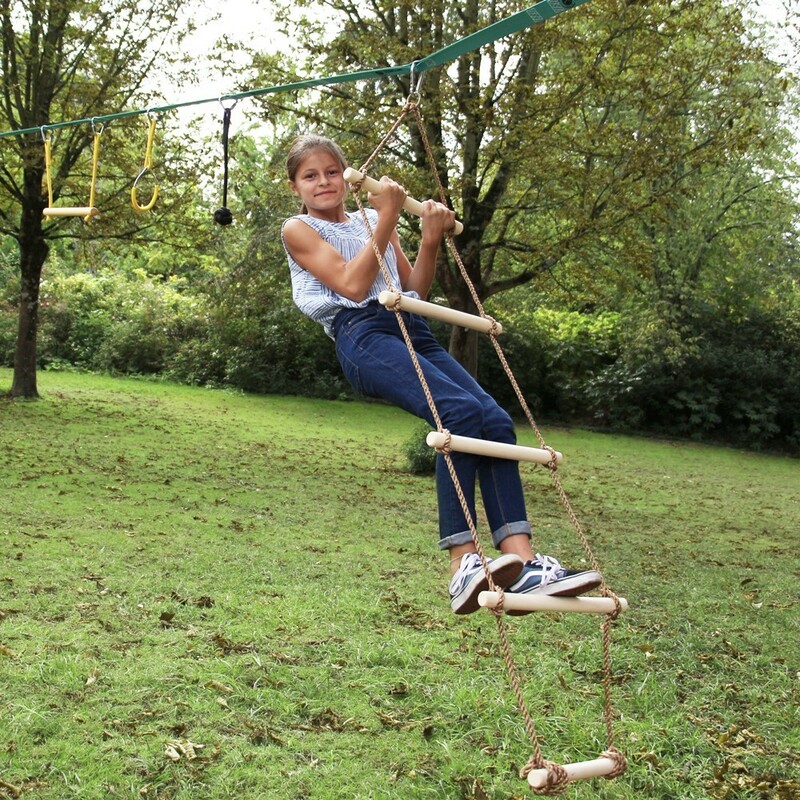 Polyethylene rope and wooden bars, with a length of 2.40 m it allows you to build fantastic ninja warrior course! 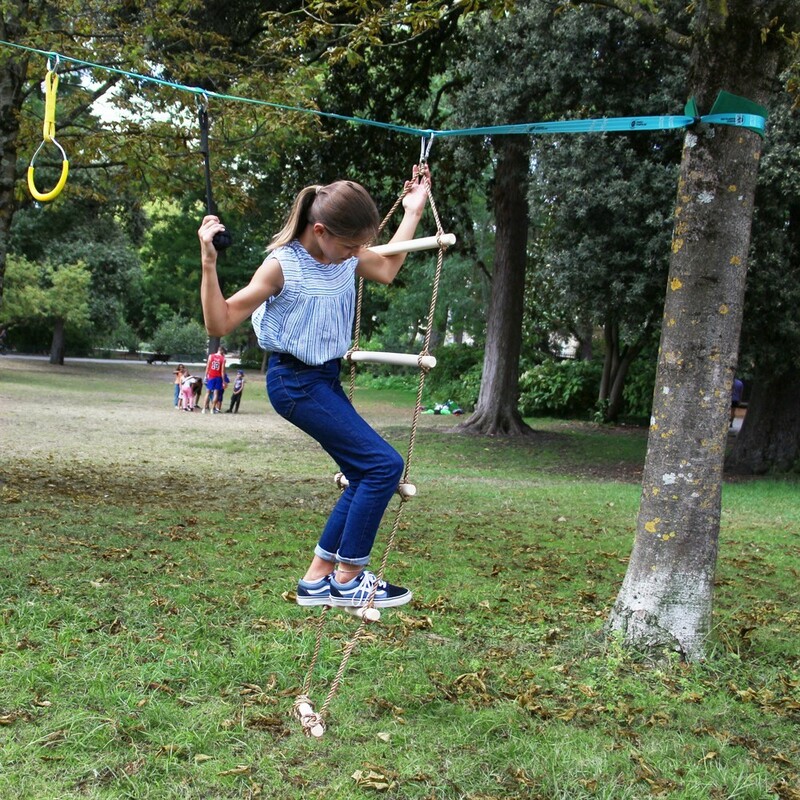 If you don’t have the Ninja Slackline, you have the option of hanging it from a suitable tree branch.